Yak Attack’s new album, Safety Third, is like a refreshing sip of moon juice from a rushing mountain stream in a galaxy far away. This release solidifies Yak as a vital resource in the field of organic dancetronica and nourishes an aural need for originality, prowess and pure fun. The record features an abundance of powerhouse musicians from coast to coast. The seamless transition between tracks creates a hypnotic trance that transports the listener across the universe and beyond. Conceptually to me, the album encapsulates the mesmerizing endurance of traveling. Whether you are a listener on a long road trip, or perhaps traveling from moment to moment within the daily grind, Safety Third will propel you through the ride at the speed of light. The opening track “Pump and Dump” is a quintessential Yak Attack dance party icebreaker. The infectious riff takes the listener from 0-100 in mere seconds. “Rule 1” begins the thematic transition from high energy to downtempo. “U+Me(+Us)” is a house-style, colorful techno song. Sarah Clarke’s vocals ring out the truth that “this land is made for me and you.” There are no boundaries. The dub-house beats segue into the pensive “EYE2EYE,” which features melancholic, experimental digital soundscapes that are anchored by tasteful drum breaks. “Hear the Sound” increases the frequency, featuring more horns and Little Warrior’s vocals. This song follows a pop format and is incredibly uplifting. The song is a memento from Yak to their fans, as a way to express their gratitude and motivation for creating music. “Rule 2” warps the “Hear the Sound” riff into another dreamy down-tempo theme. “Eighth Wonder” instrumentally builds on the vocal expression of gratitude in “Hear the Sound” and features a subtle build to the apex jam. The title track “Safety Third” consolidates the album by expanding on their undeniable jazz chops and flowing groove. As a bonus treat, the band composed this final track’s ending to loop seamlessly into “Pump and Dump,” creating a continuous and unending mix that encapsulates the DJ-style dance party they have become known for at their live shows. 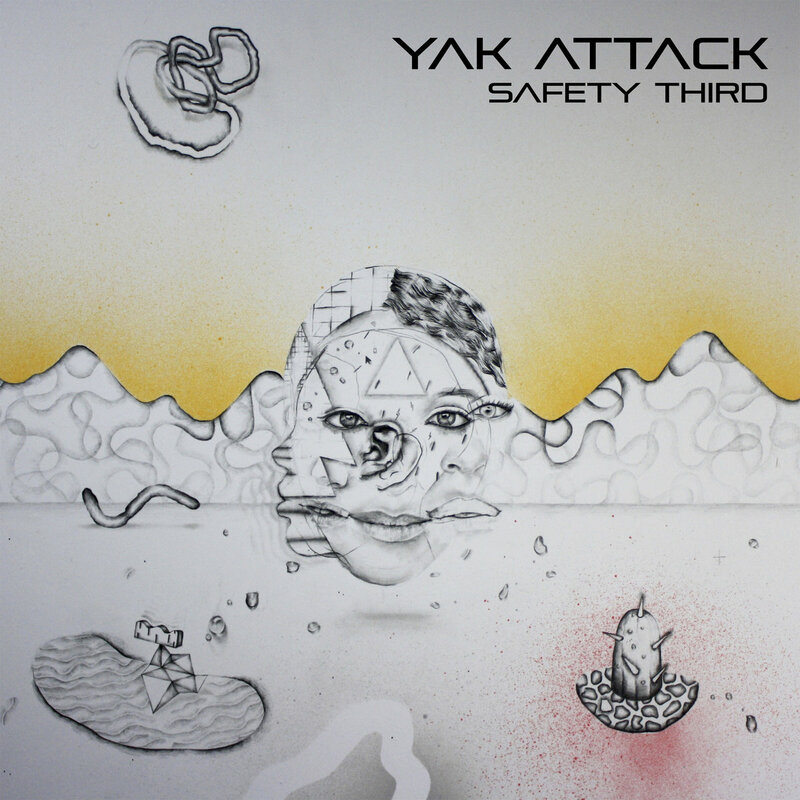 Safety Third is Yak Attack’s strongest and most balanced release yet. Nick Werth is a Jojo Mayer incarnate and carries the arduous task of keeping the beat in the pocket, while tantalizing us with rapid counter rhythms and imaginative feels. Werth’s meticulous metronome is supported by Rowan Cobb’s thoughtful and smooth bass groove. The rhythmic drums and bass build a flowing, futuristic foundation for keyboardist Dave Dernovsek to unleash his luscious layers of loops. All together, their attentive listening to each other’s dynamics produce an unprecedented sound in world of live music. I look forward to witnessing their expansion and collaboration with stellar musicians in the studio and live atmospheres.